Want to change up your morning cup? 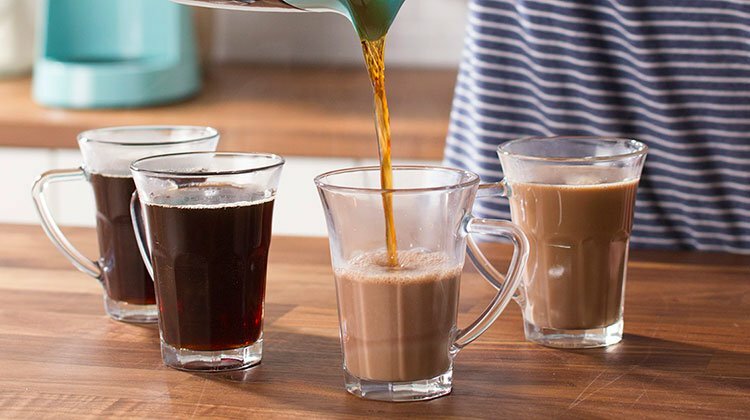 The Taste of Home Test Kitchen shares two easy methods for making spiced coffee. If you’ve been around at all in the past few years, you’ve probably tasted the mother of all spiced coffees: pumpkin spice. The annual arrival of the pumpkin spice latte generates as much fanfare as a hero returning from battle. Thing is, it’s easy to make spiced coffee at home, any day of the year. (Much cheaper, too.) You can also think beyond the pie spice and use your favorite spices, alone in or in combination, for fantastic flavor. Spices like cinnamon and cardamom impart warm, cozy notes, while star anise or ginger impart a more powerful flavor twist. 3/4 teaspoon ground cinnamon or other spice. Cardamom, pumpkin pie spice, nutmeg, allspice and star anise pair well with coffee. Combine coffee with ground cinnamon or other spice in the filter basket of your coffee maker. We used a drip coffeemaker, but you can also spice up coffe made in a French press, Chemex, pour-over or other method. Prepare coffee as usual. You’ll get about four cups. Enjoy as usual-black, or with cream and sugar. Want to go over the top? Combine spiced coffee with spiced milk. Combine the milk, sugar, cocoa and vanilla in a saucepan. Cook over medium-low heat for 5-7 minutes, or until small bubbles appear on the sides of the pan. Stir occasionally to keep the heat even and prevent scorching on the bottom. Don’t let the milk boil! Pour the hot milk mixture into four coffee cups and add coffee. The milk adds rich mocha flavor to regular coffee. Spiced coffee + spiced milk = extra delicious. Step 3 (Optional): Gild the Lily. Garnish your mugs with cinnamon sticks and whipped cream for a decadent dessert-like treat. Serving an after-dinner drink? Add 1-2 tablespoons of coffee liqueur to the mug. Want a summery version? Just chill the spiced coffee and milk until cool, then pour over ice. Article by Taste of Home editors. View the original article here.